Young Henry VIII: A Lost Portrait? In the Czartoryski Museum in Kraków, Poland, there is a painting known simply as ‘Portrait of a Courtier’ by Jan Mostaert (ca. 1475-1552/53). 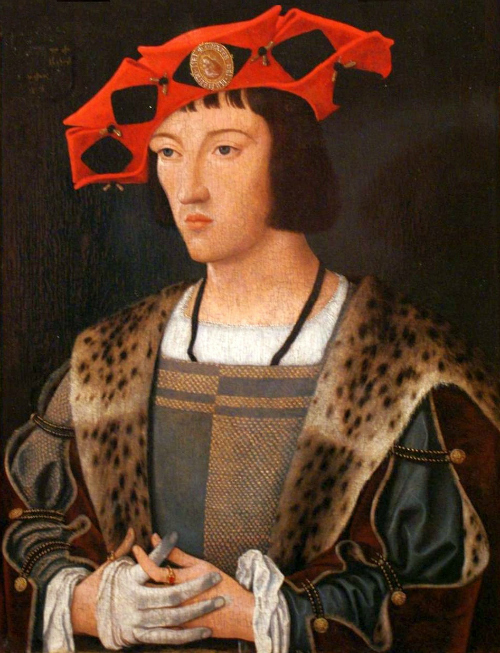 The handsome young man in the portrait is luxuriously dressed in the fashions of the 1510s or 1520s; the leopard skin in itself gives away that this is no ordinary man. The 1509 portrait is more poorly executed, but I think the similarities in face shape, proportions, brows, eyes, and especially the nose are striking. The nose, in fact, seems to be exactly the same. 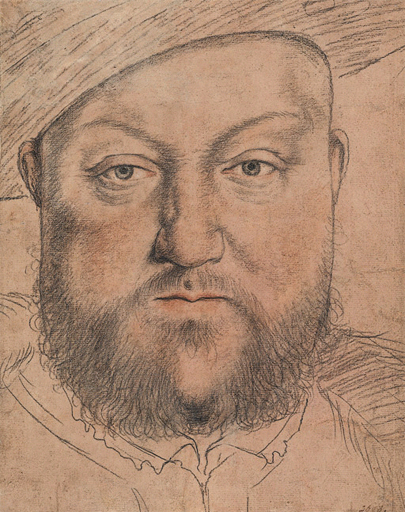 The similarities between Henry VIII and Mostaert’s painting are pronounced further when we look at Hans Holbein’s sketch of a much older – and bigger – Henry. The blue eyes have not only the same shape, but also the same expression in them; and obviously the small pouty mouth is something of a trademark in all existing portraits of Henry VIII. Here are the three faces side by side, to make the comparison easier. Click on the image below to see it in full size! And there is a way to verify this: the coat of arms in the upper left-hand corner of the Mostaert painting. The painting is dark and the photograph blurry so that it’s impossible to say for sure what the coat of arms looks like, but the arms is quartered and the shapes certainly make it an exciting possibility that this is the Royal Arms of England, topped with a crown. Would be very interesting if someone at the Museum could take a closer look at this painting and see what the coat of arms really looks like. If it is indeed the Royal Arms of England, at this time period it could only be Henry VIII as a young King – possibly in his mid-to-late twenties. Mostaert’s painting has a rather interesting recent history. It was stolen from the Polish Czartoryski family by the Nazis, and it ended up in the Virginia Museum of Art, from whence it was restituted to the Czartoryski Museum in 2004. The painting was originally paired with the portrait of a woman, and the pair were traditionally known as King Charles VIII of France and his wife, Anne of Brittany. Obviously art historians have since realised that it couldn’t be Charles VIII, who had died in 1498, and moreover looked nothing like the man in the picture. But another exciting possibility comes up. What if the pair were actually King Henry VIII of England and another Anne – a young Anne Boleyn? 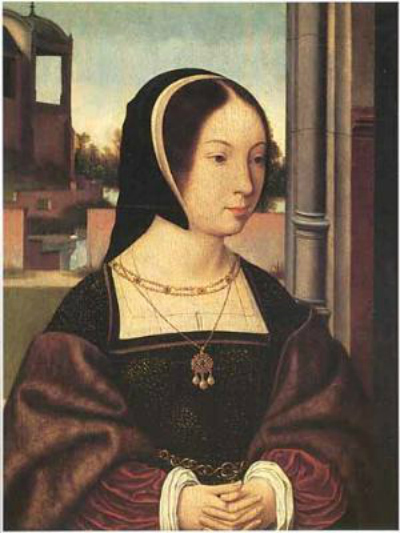 Here’s a comparison of Mostaert’s painting with portraits that have been identified as Anne Boleyn. Click on the image below to see in full size. The same woman? You decide. Again, there are similarities in face shape, nose, eyes, mouth, and the woman’s colouring. I agree with you that it’s probably young Henry VIII (and unlike the 1509 portrait, this one makes you understand why he was considered good-looking! ), even down to the same expression in the eyes (cold? melancholy? angry? For a man known for enjoying life’s pleasures, his eyes show very little happiness, he seems to be a guy with some serious issues). And the little pouty mouth reminds me of the little heart-shaped pouty mouth we see in the portraits of Edward IV, Cecily Neville and George Duke of Clarence. However, isn’t it a little bit too early for him to be paired up with Anne Boleyn? Thank you, timetravellingbunny! 🙂 I agree – whoever the man was, he was quite good-looking. And I agree about Henry’s cold/melancholy/angry eyes, too… glad to hear I’m not alone in thinking the young man’s eyes look exactly the same. It would certainly be too young for him to be paired up with Anne Boleyn, but who’s to say the portraits were painted at the same time? Indeed, if the two portraits were originally intended to be displayed together, wouldn’t there be more similarities – in the background, etc? But I’m not an art historian and I’ve never seen the paintings in person, so I don’t know if they look like they ‘match’. For whatever reason, the portrait of the lady has been traditionally paired up with the portrait of the man. Would be interesting to know more about the history of these two paintings before they ended up in the possession of the Czartoryski family. Unfortunately, I haven’t been able to find out anything so far. Unlike the other image that was recently touted as being Anne Bolyen this one is actually a proper fit. The girl wears fabric and jewels appropriate to a wealthy gentlewoman. The only quibble I’d have is with the style of the hood, which wasn’t exactly the thing in England at this time. It’s angled a wee bit back toward the crown of the head, and English hoods tended to be more centered. I still can’t believe that no historians of Tudor era haven’t positively identified this as being Henry. It’s remarkable the likeness as well as that of the “Anne” painting. Honestly it’s hard to think of these two people as anyone OTHER than Anne and Henry. He’s too handsome to be Henry Vlll, even for his earlier years. 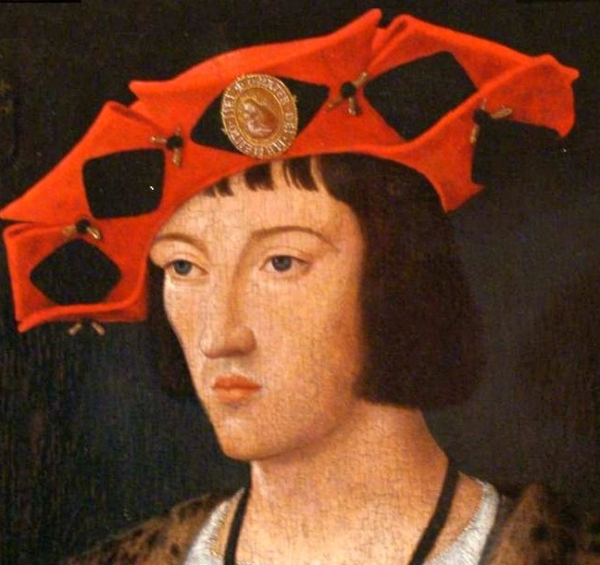 Henry was considered very handsome in his youth. 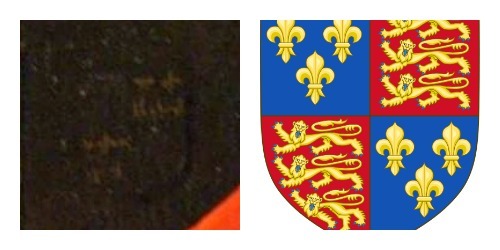 Pingback: Could This Be Portraits of Henry and Anne? Henry – yes, very probably. Anne – not convinced. Her face is differently shaped, her neck is short and muscular, not nearly the famous “little neck”. Then again, most of Anne’s existing portraits were painted after her death, so who knows? That was exactly my issue with it. . .the neck. Her neck was described as being very slender and swan-like. This woman’s neck is shorter and thicker. I’ve read everything about Anne Boleyn I can find and these replies are the first time I’ve heard that her hair was actually red! Why is she always described as a dark brunette? I would think, if anything, her hair would be a matter of historical record since so much seems to be made of it. Is this a British secret we Yanks are left out of? 😉 jk! Anne did have dark hair, but apparently it was more dark auburn than dark brown. Could the woman be Henry’s sister Margaret? Could it be Queen Katherine? She and Henry were deeply in love in 1509. I think it is King Henry the VIII. Face structure is the same, unlike that french king charles VIII. King Henry the VIII and his Wife Anne Bolyn stayed in France for a prolonged period of time around 1514 – 1515, since his sister Mary was married to the French King at the time, King Louis XII. 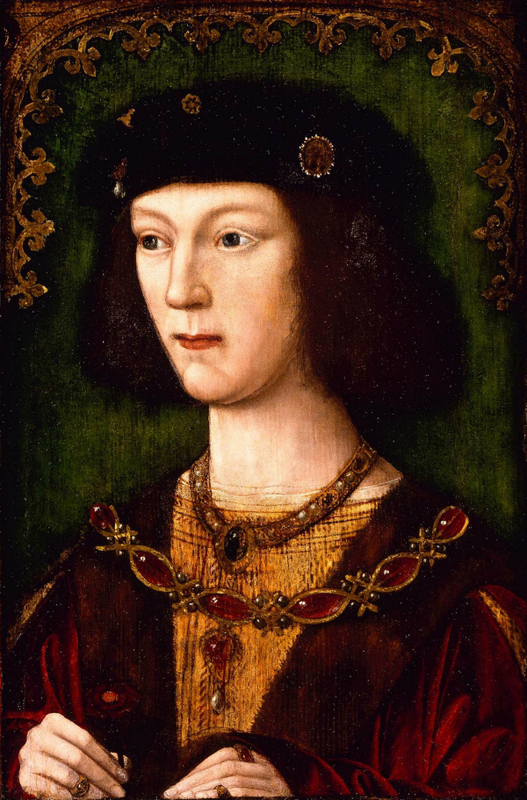 This would mean Henry would have been 23 – 24 years old at the time, in his youthful prime (Note in the 1509 painting, he would have been 17-18 yrs old). The coat of arms though in the shadows in Mostaert’s painting, shows darker tones of blue and red, like the coat of arms of Henry VIII. The coat of arms of King Charles VIII is white and blue, which is not the case in the painting. King Henry the VIII was regarded as magnificently handsome, and since there’s barely any paintings of him in his prime, and his teenager paintings do not have the skills of Fench painters to reflect this, the Mostaert painting indeed reflects the reported qualities of of young Henry the VIII as being one of the most handsome monarch’s to grace the English throne. That being said, Anne Bolyn was not yet officially his wife at the time. They only married in 1532.